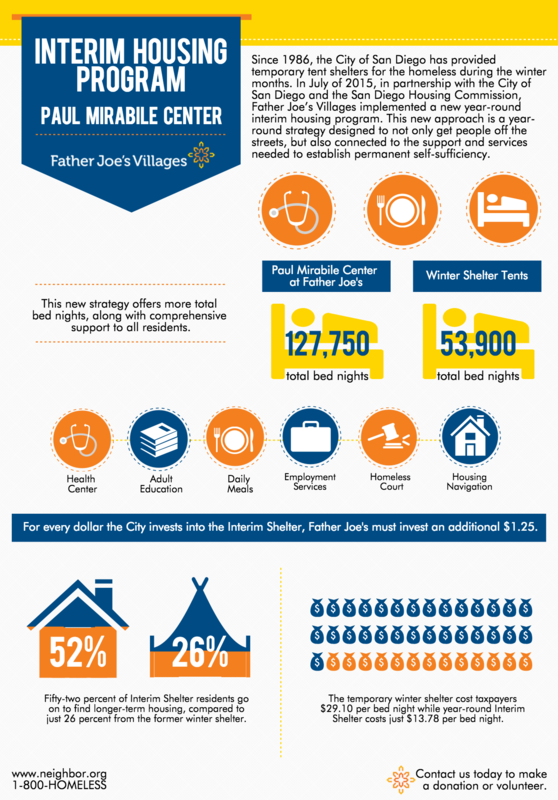 Father Joe’s Villages implemented a new interim housing program as a permanent alternative to San Diego’s temporary winter shelters. Learn more about how this new year-round approach is designed to not only get people off the streets, but also connected to the support and services needed to establish permanent self-sufficiency. This project is funded in whole or in part with Community Development Block Grant (CDBG) Program funds provided by the U.S. Department of Housing and Urban Development (HUD) through the City of San Diego.